2018 is set to be another bumper year for us at Xanita and it’s already been off to a flying start. As always we’re thrilled to be making the trip across the pond and look forward to seeing you at at least one of the shows. If you would like to setup a meeting at one of the shows get in touch with us at marketing@xanita.com. ISA Sign Expo is the largest gathering of sign and graphics professionals and is filled with exhibits offering new technology, not to mention helping sign companies make valuable connections. For 25+ years, GlobalShop has served as the USA’s largest retail design industry trade show. 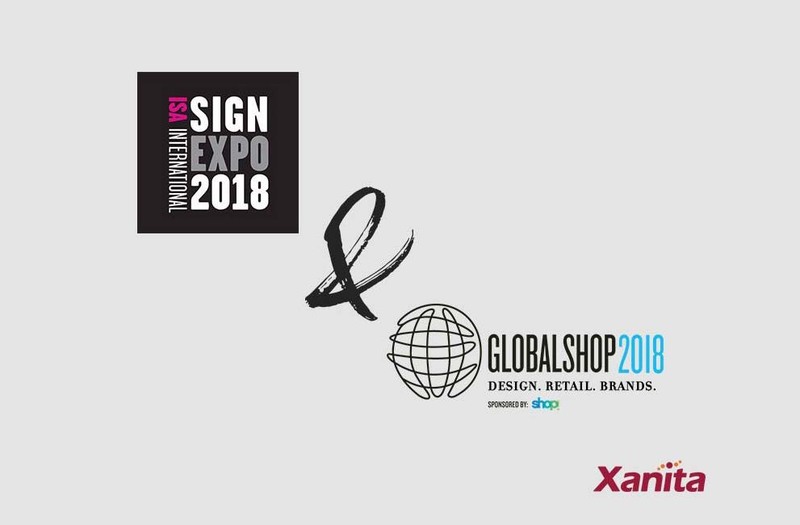 GlobalShop is the only annual event that combines store design, visual merchandising, retail technology and shopper marketing leaders under one roof.